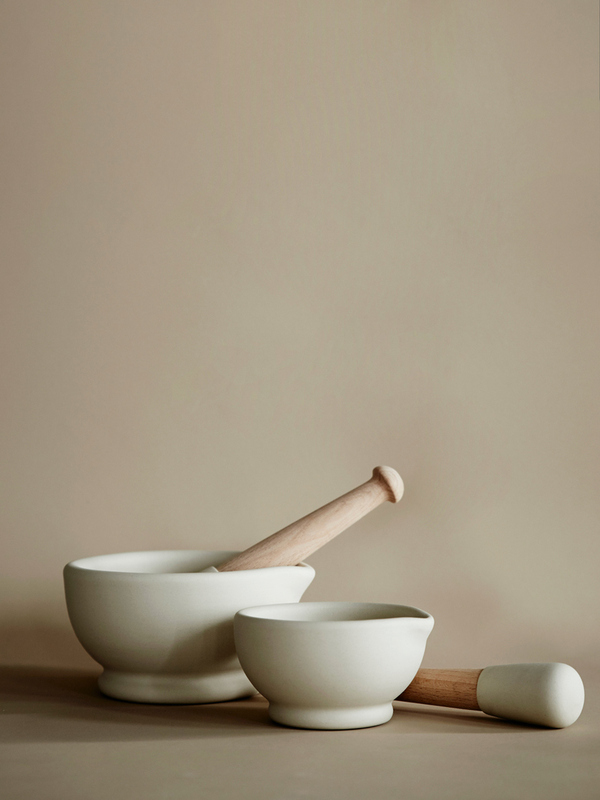 This mortar and pestle has the finest unglazed porcelain providing the perfect abrasive finish for grinding and crushing. Together with its form and the grip-friendly long-handled pestle this mortar is designed to be used both with dry and wet mixes. Choose between two sizes.